They are the ones who make me dream, who make me want to take a pen and write, till I don’t have any more ink to colour pages, who take me out of my zone of comfort, straight into the deep world of words. I recall Anne Lamott saying “Writing and reading decrease our sense of isolation. They deepen and widen and expand our sense of life: they feed the soul”. Let’s start with Balqis. Balqis is writing mostly haikus and this is enchanting, cause it creates every time beautiful ideas and images in my mind. I did try to write some without success. It’s maybe why I like Balqis way with words so much. In the “B” world, we find Balroop. Her poems come straight from the heart and are full of light. When I read her, it feels like stepping out on the road, walking and looking at the beauty on the side, letting this beauty mesmerizing me, emptying me of the dark. Let’s continue with Parmita Dubay, a passionate writer, a day-dreamer, an author in waiting. If you step by her blog, you definitely need to read the poem she dedicated to me – Being – and I guess you’ll fall in love! Now I want to introduce you to some French Bloggers. First I’ll take you to Morocco to meet Marie. When she writes, I feel surrounded by peace, calm. I just want to settle down with a hot tea into my favourite chair and let her world consume mine, let her words take me by the hand, as far away as possible. And then there is Petite Yaye in Senegal this time. Pure, raw, beautiful writing. A young woman with an open heart. Tolerance and kindness seem to belong to her, like sun to the sky. I’ll end today’s trip in the world of words with Sarah. Poetry again. Everyday joy and everyday pain. Everyday hope and everyday loss. Everyday encounter with death and everyday encounter with life. Everyday everything, but with style! Thank you so much for your kind words Marie. Stay blessed and keep writing! I loved a few of these…Thanks again! Glad you discovered good and nice read Salma. Stay well and in peace. Even if I have no much time now (it´s summer in Argentine) I´il keep this precious list Marie! What a very pleasant surprise! Thank you so much, Marie. I’m so honoured by your recognition of my simple blog. Your visits to my blog means a lot. 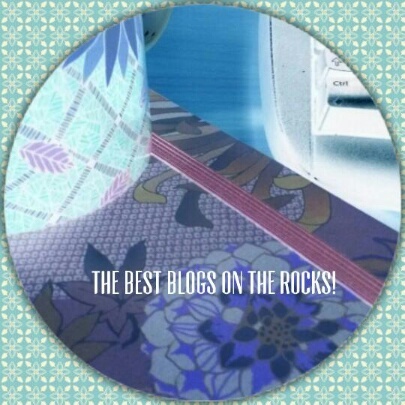 Your encouraging words are what I need to keep going in the blogging world. Loved your collection 🙂 … I usually visit your blog when I need peace and wise words Marie, and now I’ll make sure to visit these awesome writers too. I just wish I have more time to read.. reading really heals my mind and soul. Thanks for sharing the love with us. Thanks dear Amira. It’s always a pleasure to read you. I wish I have more time too. Reading positive and open-minded people bring peace to our hearts and heal our souls too. Stay well and blessed my friend. Thank you for the mention Marie! I didn’t expect it but when my name popped up, I was totally elated. It means more to me than words can express. I don’t know how I missed this post and all after you made some changes in your Gravatar. Though I follow your blog but your posts stopped coming to my inbox. I am so touched by this kind gesture of mentioning my name in this post and those lovely words of appreciation from your side are music to my ears. Thank you so much. Love your support and your posts. I made some changes and it was not working. So I had to undo the changes. Anyway here we are Balroop! Since I read you, many things become more clear to me, I am learning to give time to myself. It’s new to me and it feels fine. Love to you my friend. And stay well and happy.